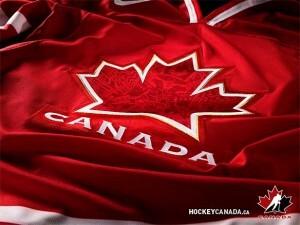 Team Canada will obviously be looking to defend their Gold Medal from the 2010 Vancouver Games this February in Sochi. Their blue line will be chock full of good defensemen and the pairing they’ve chosen from the St. Louis Blues organization will be no exception. Here, fellow The Hockey Writers member Jeff Ponder (JP) and I (MP) focus on the Blues top defensive pairing, and give our input on how they will fare in Sochi. MP: Alex Pietrangelo and Jay Bouwmeester have been defensive forces while wearing the coveted Blue Note on their chests. Their play compliments each other so well and their respective offensive talents are big reasons the Blues are having such a great year. When Blues GM Doug Armstrong brought Bouwmeester to St. Louis he knew he had the perfect guy to solidify his already stout defensive core. 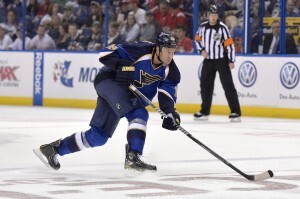 Armstrong was quickly proven right when Jay-Bo found his stride playing alongside Norris Trophy candidate Pietrangelo. Pietrangelo is the perfect complement to Bouwmeester’s play as he can rush the puck up and make offensive plays, while drawing wingers off of Jay to leave him open at the points for quality shots on net. Bouwmeester is the perfect complement to Pietro’s play because he can cover the entire ice in about 3 strides, and is amazing at closing gaps, and angling opposing forwards into the boards before they can make a play. Both blue-liners have a very active stick on D, and are used to blocking a ton of shots to help out their goalies. They have also combined for 60 points and are currently an unbelievable plus-35 in 2013-2014, wow. What more could Team Canada want in a D-pair? JP: With all the question marks surrounding the Canadian selections, the inclusion of the Blues’ top pairing is a sure bet. After a slight drop off in production and overall play through the early going of 2012-13 (14 assists and a minus-1 through the first 33 games), Pietrangelo instantly found his groove when Bouwmeester arrived on the scene April 4 (five assists and a plus-4 through the final 14 games). 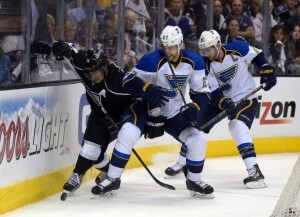 It wasn’t just Pietrangelo who improved when the pairing was formed. Bouwmeester’s reputation was in jeopardy after he became the NHL’s most seasoned player who had yet to appear in a single playoff game (Bouwmeester Sets Record He Probably Isn’t Proud Of). But he was instantly slotted as a mainstay in the St. Louis lineup and once again became the defensive stalwart that earned him the third overall pick in the 2002 NHL Entry Draft. The real story behind Pietrangelo and Bouwmeester is that they rival Duncan Keith and Brent Seabrook as the best skating defensive pairing in the NHL. Pietrangelo moves as quick backward as he does forward while Bouwmeester’s long, smooth strides allow him to keep pace with most forwards in the league. MP: Although the obvious answer would be to keep playing these two together in Sochi that may not be the best option for the team. I would suspect the pair will find themselves together at times, but I wouldn’t be surprised if they are also found separated most of the time. Team Canada has a ton of talent on the back end, with every single d-man playing top minutes for their respective clubs. Given Team Canada’s need to repeat Gold, and their flexibility on the back end, I wouldn’t be surprised to see matchups like Duncan Keith or Drew Doughty with Jay Bouwmeester, and Shea Weber or Dan Boyle with Alex Pietrangleo. Time will tell us how the lines end up but one thing is certain, whoever Pietro and J-Bo are paired with, they will be pivotal pieces to Team Canada’s success. By the way, Jay Bouwmeester is to Alex Pietrangelo what Chris Kunitz is to Sidney Crosby. JP: Although the Canadian defense is stacked with talent (P.K. Subban and Shea Weber), the Blues defensemen could slide in as the top pairing for Team Canada. They already play against the best lines in the NHL on a consistent basis, so it only makes sense that the two would continue to do so on the international stage. The power play could prove to be a different situation as Subban, a right-handed shot, was No. 3 in power-play points last season (26). Keith, a lefty, would likely fit in on the top unit while Bouwmeester, also left handed, could still skate on the second unit. Pietrangelo may see his time diminished with Weber, right handed, also filling in on the second group. MP: The biggest question on everyone’s mind is will Team Canada repeat as the Gold Medal recipients. I think they have a very good chance, but I also think they may fall just short. I expect them to be in the mix of medals but see them ending up with a Bronze. I think their goaltending is a huge question mark and I think the size of the international ice may cause more odd man rushes against them than they can handle. It will be hard to beat the Russians on their home ice, and Team USA is also primed to make a deep Olympic run, however, if Team Canada can keep these two opponents off the scoreboard they could very well repeat. JP: The reigning Olympic gold medalists always enter the Games as the favorites. There are 11 players returning from 2010, so the experience in the big contests will heavily favor the Canadian squad. Even with the omissions of Joe Thornton and Martin St. Louis, Canada boasts the most firepower of all the 12 teams in the tournament. Attacking Canada’s strengths is the only way to beat them. Yes, you did read that correctly. Teams will have to keep the offensive stars at bay by hemming the top lines in the defensive zone and keeping the puck off the stick of the talented forwards. If this can be accomplished, Canada could be knocked off. 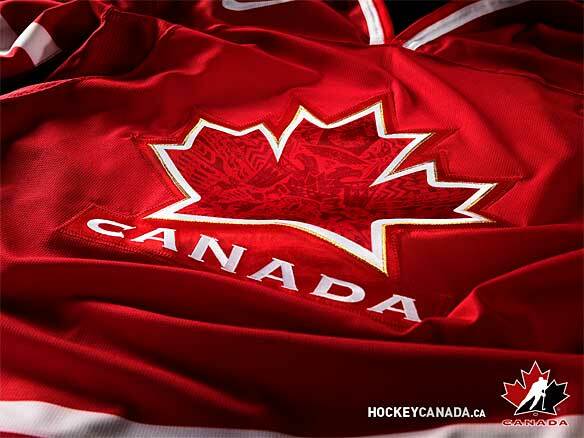 After all, the Canadians have taken just two gold medals in men’s ice hockey within the past 15 Winter Olympics.